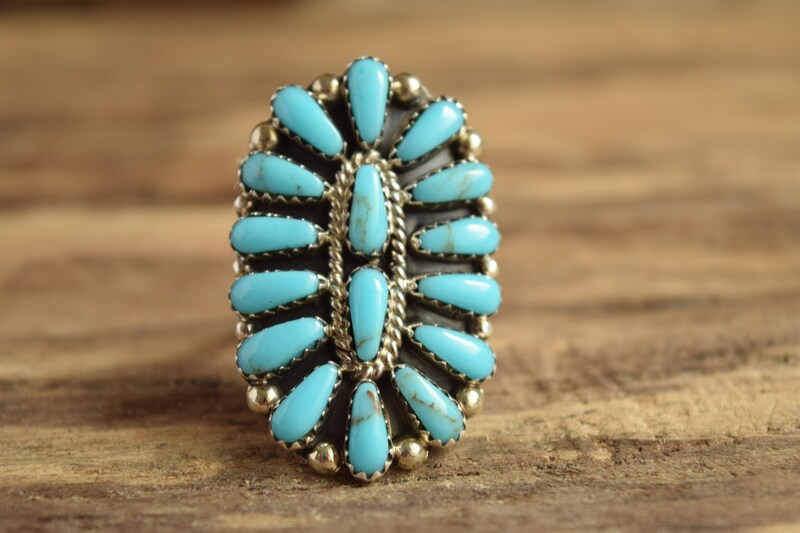 Occasionally we find modern pieces in our lots of Vintage Native American Jewelry. 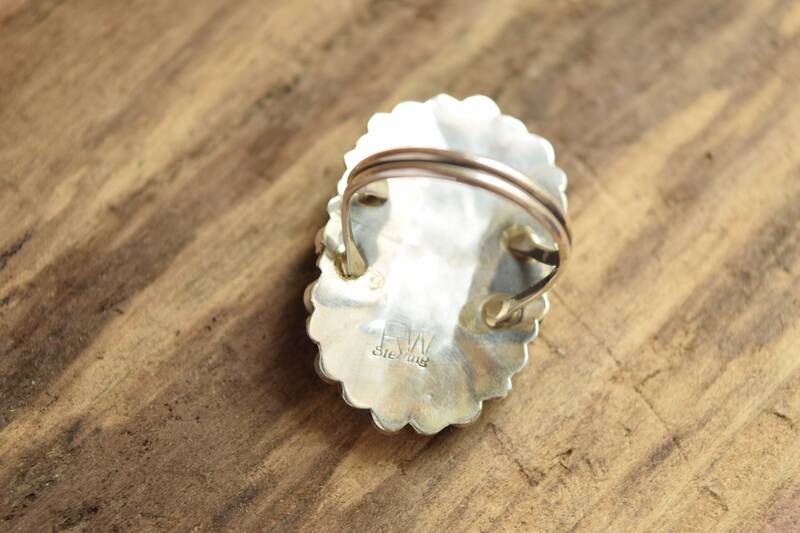 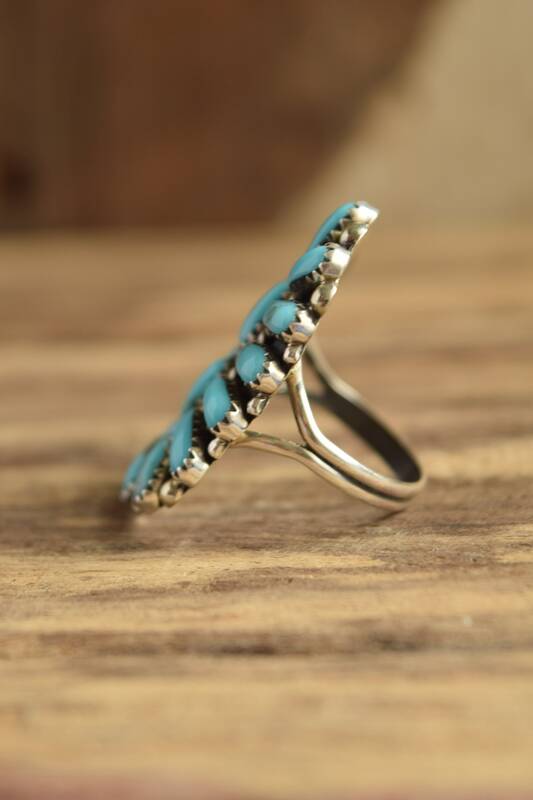 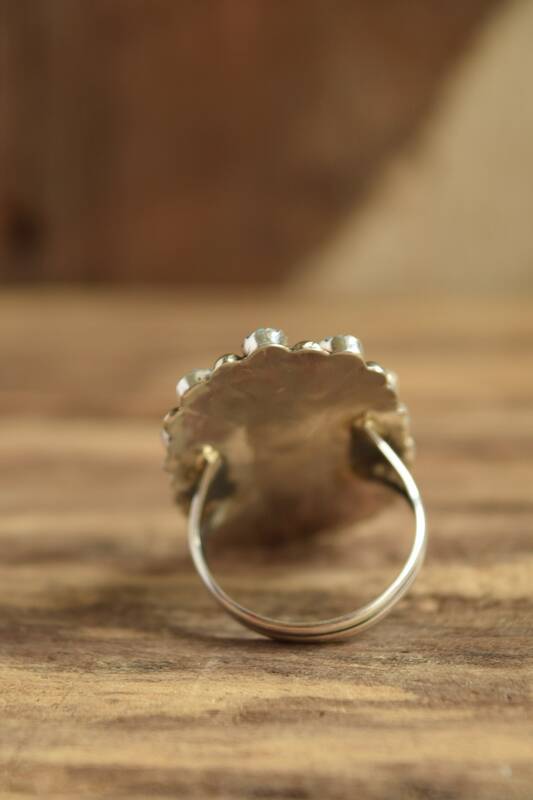 This stunning piece is crafted by Navajo Native Silver Smith, Rosana Williams. 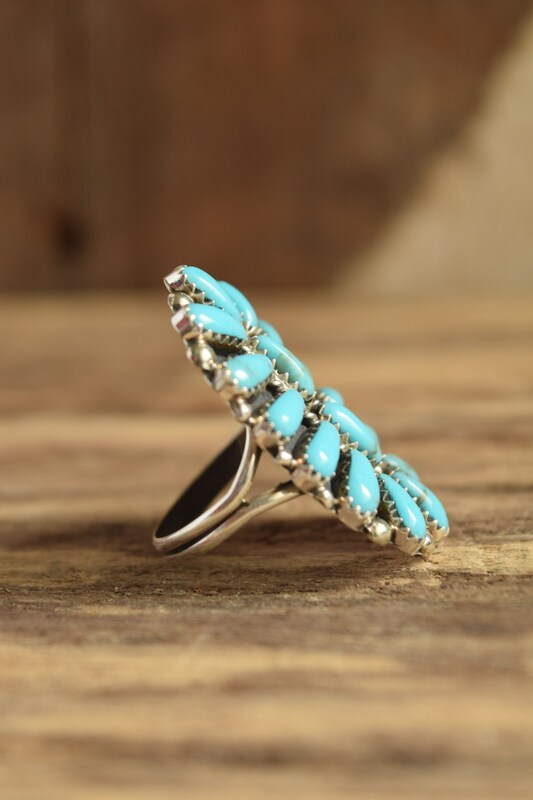 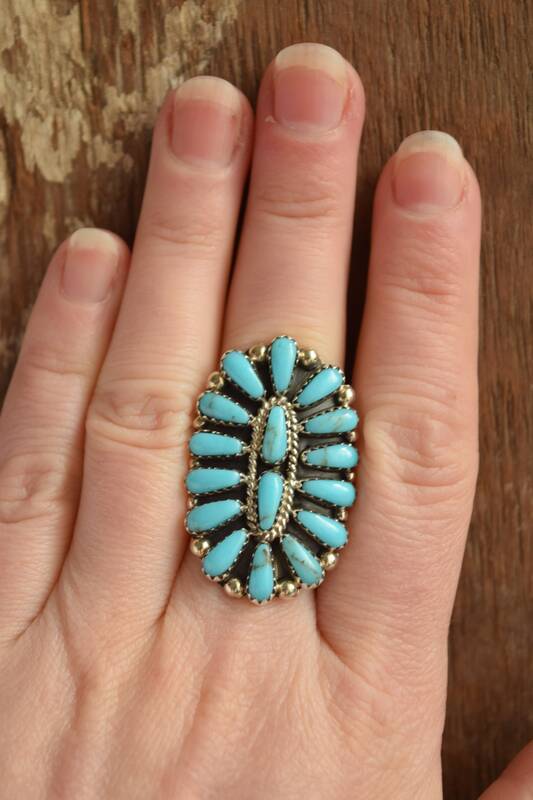 It is a size 9 1/2 and features 16 turquoise stones set in sterling silver. 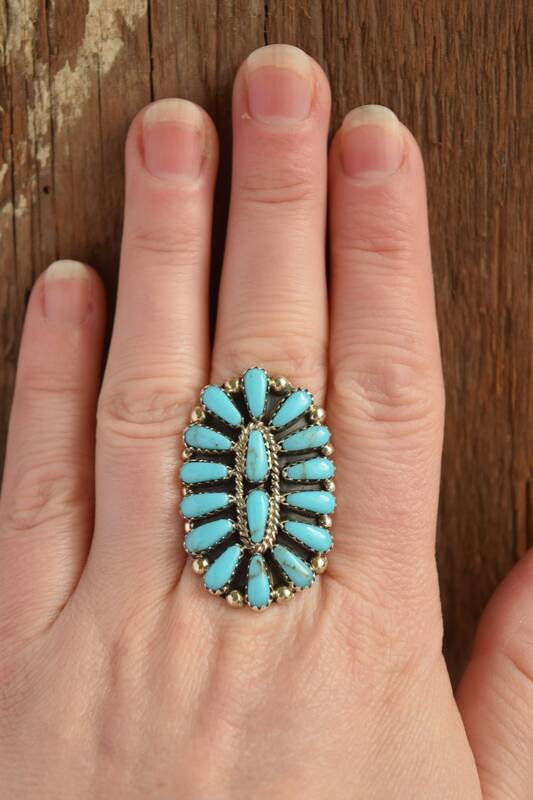 Condition: Near Mint, only slight surface scuffs from storage and shipping.